Some people say that if someone holds the key to understand the future of commerce, is Jeff Bezos. And perhaps, only perhaps, they aren’t wrong. Bezos is one of the founders of Amazon, and under his leadership, the ecommerce industry has growth from a peculiarity, to a standard commodity that almost everyone has already used at least once in his life. 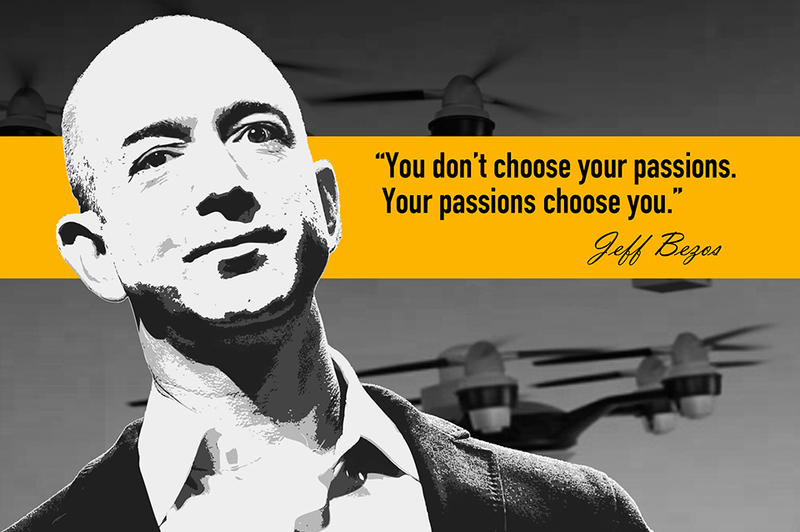 Jeffrey Preston Bezos was born in January 12, 1964. An American technology entrepreneur and investor he captained Amazon.com and leaded the company from being an online merchant of books, to become the largest online selling network in the world. His ideas, models, and practices have almost single handedly established the paradigms of internet commerce. It was Bezos the one behind Amazon Total Security on credit cards policy. He also established the “Amazon quick refund system” orienting the company towards total client satisfaction policies, and thus granting them the much needed confidence to capture a population that, in that time, was not used to buy via Internet. You could almost argue with absolute confidence, that it was Jeff Bezos business plan, the one that turn public opinion from considering Internet something similar to Ali Baba’s cave, to a safe and sound online massive mall as we now know it. Bezos policies created the confidence that has allowed Internet to become a reliable place to do business. This per se means that Jeff Bezos figure, as father of modern e-commerce, casts a shadow far larger than life. And now, this intrepid entrepreneur has decided that even planet Earth has become just too small for him. In 2000, Bezos founded Blue Origin, a human spaceflight startup company, partially as a result of his fascination with space travel, including an early interest in developing “space hotels, amusement parks, colonies and small cities for 2 million or 3 million people orbiting the Earth.” The company was kept secret for a few years, but it became publicly known in 2006 when purchased a sizable aggregation of land in west Texas for a rocket launch and test facility. In a 2011 interview, Bezos indicated that he founded the space company to help enable “anybody to go into space” and stated that the company was committed to decreasing the cost and increasing the safety of spaceflight. Currently Bezos personal fortune rounds up to 50 billion dollars, ranking him the 4th in Forbes List of Billionaires.